School systems—and the challenges they face—are often complex and diverse; effectively addressing these challenges may require a leadership approach that moves beyond traditional teacher and administrator roles. 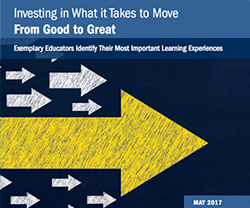 Teacher leadership is one strategy many states and districts are pursuing to facilitate meaningful change and support better outcomes for their students. 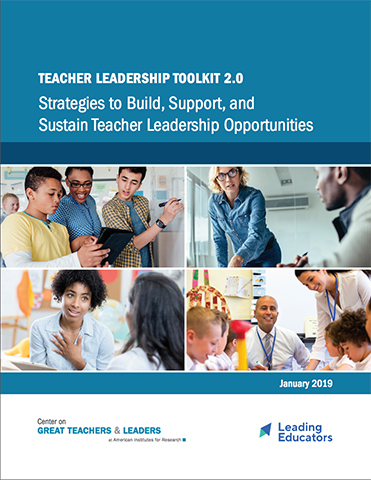 To support these efforts, the Teacher Leadership Toolkit 2.0 includes a synthesis of research on teacher leadership, current examples, and useful tools for designing, implementing, and supporting teacher leadership initiatives. 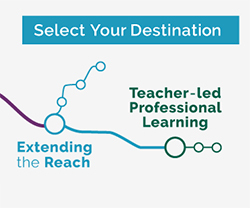 Toolkit 2.0 builds on previous work by our partner, Leading Educators and includes 10 supporting resources exploring key aspects of teacher leadership initiatives at the national, state, and local levels. States and districts can use the toolkit to drive planning and decision-making and to build knowledge with stakeholders and colleagues. 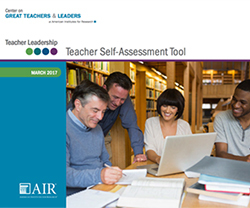 The Teacher Leadership Toolkit 2.0 is organized around a State and District Action Framework for Teacher Leadership. Part 1: Establishing the rationale and goals for the teacher leadership system. Part 2: Selecting and implementing strategies to establish and sustain teacher leadership. Part 3: Refining implementation through progress monitoring. The Toolkit includes 10 Resources to review and use alongside the Toolkit PDF above. 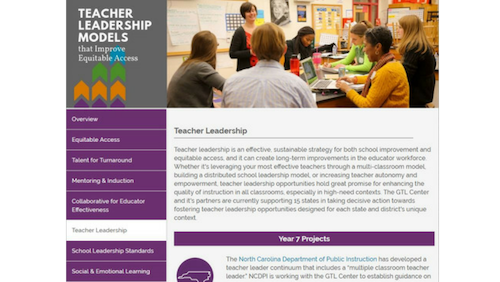 States and districts may use these resources individually to build knowledge with stakeholders or state education agency staff before engaging in decision making related to the design of the teacher leadership initiative.